For the last half-decade, we have been increasingly worshipping at the altar of K-beauty. Korea is where we’ve learnt a whole new skin vocabulary, with words like glass skin, BB creams, snail slime and #sheetmasking making it into the beauty lexicon. But for me, Korean beauty secrets have never been much competition for its neighbor: Japan. A country that’s more traditional, and more understated than the razzmatazz of Korea. A country that marries a centuries-long heritage in beauty with natural ingredients and innovative technologies. A country that is all about quiet luxury and pared down routines that are far more low maintenance, yet equally as efficacious, than the extremes of Korea’s 10-step complexion care. Which, let’s face it, is not something most of us can indulge in most of the time. 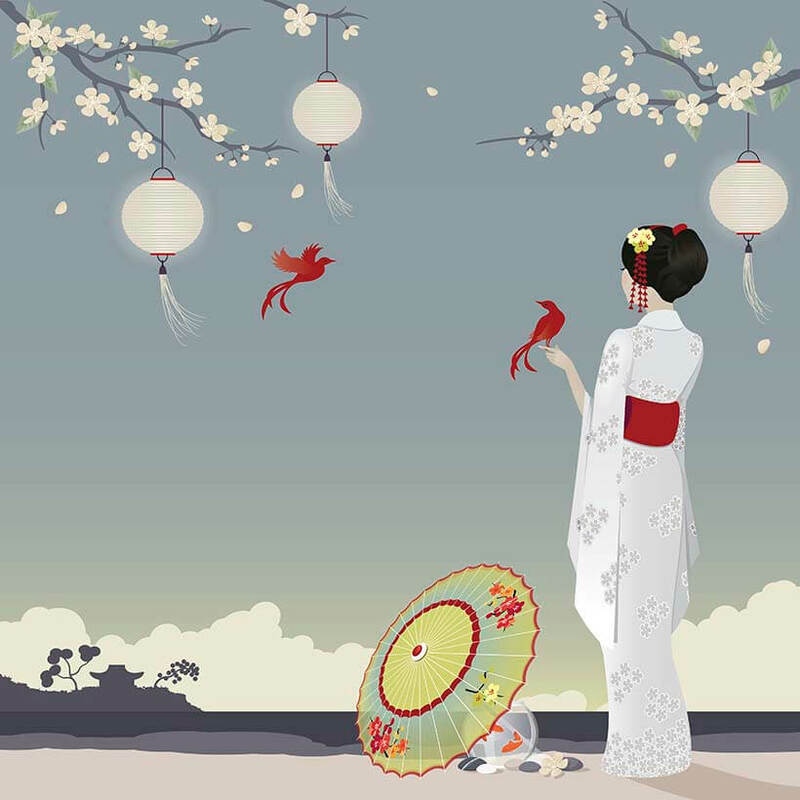 A country, whose geishas have been held up as the ideal of beauty since the 18th century. A country that has already given us cult brands like Shiseido, SK-II and Tatcha. Japanese beauty concentrates on suppleness and a matte, almost airbrushed finish. The ideal is mochi-hada: Rice cake skin that’s as soft and plump as the coveted Japanese dessert. There’s a translucence that shines through, giving skin an almost ethereal quality that’s uncaked by makeup. How do they achieve this? By being especially diligent about their skincare, with a lifetime commitment to natural cures and traditional medicine. Flawless skin is a status marker across Japan, and whole tracts of ancient medicine are devoted to keeping it gorgeous. So holistic well being takes the place of chemical-laden short cuts. Result: most Japanese beauty brands are built around herbs, botanicals and natural ingredients, as opposed to a lot of synthetics. Time to explore in greater detail and partake some of the gorgeousness ourselves? One thing the Koreans and the Japanese have in common: Their love for #masking. Japanese women buy face masks in bulk, with most brands selling packs of 30+ single use sheets or pods. 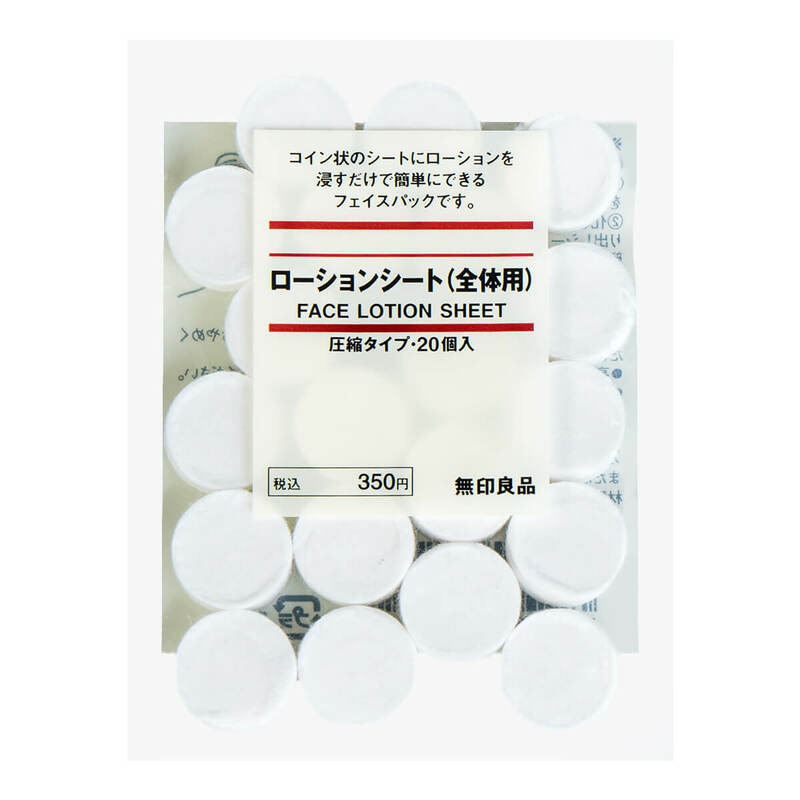 One of the most innovative that I’ve ever come across is Muji, whose compressed face masks come as tiny balls, which expand to full size sheet masks when soaked in an essence or any other liquid of your choice (I usually go for a blend of rosewater and aloe vera gel). They are made from gentle, non-woven cotton and are perfect for deep hydration. Japan is a high-stress society but they always build time into their schedules for pure relaxation. Cue: Onsen baths, the natural mineral hot springs found all across the country, which the Japanese call upon all the time to relax and recharge. So, if there is one lesson, I have taken away from this land, it’s the importance of taking some time out every day to slow down and take care of myself, even if it’s for a 5-minute face massage, a soak in the bathtub… or these crazy lovely eye masks, that are the perfect antidote to tech-weary peepers. These paper-based masks give the effect of a soothing hot towel, sans the damp. Once unfolded and placed over the eyes, they warm up and release a cozy, relaxing scent that soothes tired eyes. There are even ear straps to prevent the masks from slipping off… because the Japanese think of everything. These are possibly the most popular face masks in Japan. 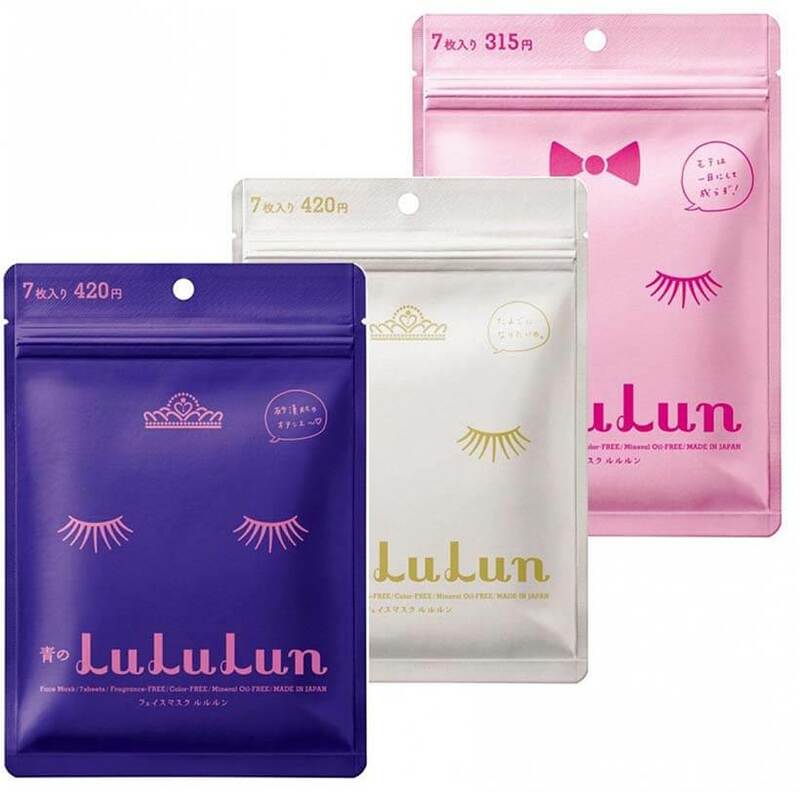 Made with a specialised three-layer cutting system that keeps the sheet from sliding off your face and allows for maximum penetration of the active ingredients, Lululun’s cute-and-cutting-edge formulas eschew fragrance, chemicals and mineral oils. Form and function at it’s very best, I would say. This one has me ADDICTED! I always knew that the Japanese worshipped at the altar of collagen for that coveted mochi-hada, or plump “rice cake” skin, that is so coveted in the land of the rising sun. However, it wasn’t till I visited Kyoto that topical collagen treatments hit my radar. Each Chojyu Collagen Source Solution Ball contains three months of collagen in one pack. Simply open the pack, dampen the tissue-like sphere with toner, and wipe it across your face. The active ingredients are quickly absorbed, leaving your skin with unparalleled suppleness. According to Japanese aestheticians, one of the key differences between Asian and American women is the former’s dedication to double cleansing. I have yet to find one Japanese woman who doesn’t practise a cleansing-oil-followed-by-gentle-foam skin routine every single night. Yes: Every. Single. Night. That flawless complexion does not come easy. And it definitely does not come coated in makeup, sweat, grime, grease and pollution. DHC Deep Cleansing Oil is a clear favorite (one bottle is sold every 12 seconds!) based on a unique water-soluble formula that takes care of even the toughest mascara and eye liner. Gently rub into dry skin, emulsify with a handful of water, and rinse clean. Yes, double cleansing can be that simple. The second step of double cleansing is usually a foaming face wash, or a gentle exfoliator. And nobody does that better than Kanebo, whose “cleansing pods” look like Nespresso capsules and contain a single use of enzymatic powder that lathers up on contact with water. Free of all artificial colors and fragrance, they also contain tofu extract and royal jelly to leave skin super-clean sans dryness. 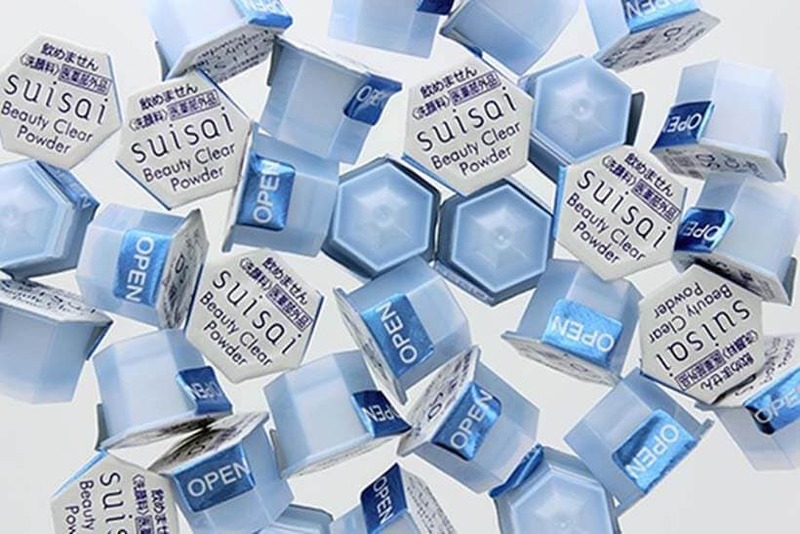 Because of the pod-packaging, they are also the best on-the-go cleansers and I am never without a couple in my handbag when charitable Japan-going friends stock me up! Yes, you read that right. U.N.D.E.R.A.R.M. P.A.C.K. The Japanese obsession for smooth, fair flawless skin extends to the underarms as well. Pukku Puku (love the name!) is a gentle peel that busts underarm darkness with vitamin C, papaya extract and other AHAs. Perfect for spaghetti top and swimsuit season. I have seriously never seen anything like this anywhere else! Sun exposure and tanning are absolute taboos in Japan. In fact, the paler the complexion the better, with creamy, porcelain skin being the beauty standard. Not only do Japanese women wear sunscreen come rain or shine, beach or boardroom, you will also find them bringing out the hat, gloves, long sleeve blouses and parasols when stepping out in the sun. With so much emphasis on sun protection, it’s no surprise that Japan has some of the best sunscreen formulations in the world. The SPF is super-high (50+ with additional UVA protection is the norm, rather than the exception), with super-light textures. Biore UV Aqua Rich SPF 50+ is a firm favorite, with its cooling water-based gel-like texture that absorbs quickly, without a hint of chalkiness or greasiness. It’s also loaded with hydrating hyaluronic acid, making it seem more like a moisturiser than some of the heavy, pore clogging ‘screens that we are used to Stateside. Trust beauty expert Victoria Tsai to merge two Japanese beauty philosophies into one product. The first is their love of rice and rice water for crystal clear skin. The second is their absolute belief in the gentlest of face washes and exfoliators that work with a rich, fluffy foam and active enzymes to deep cleanse sans any force or friction that destroys the skin’s fragile barrier function. Tatcha’s Rice Enzyme Powders are gentle enough to be used daily, yet effective enough to create the smooth, pore-less skin that’s the Japanese signature. It’s non-abrasive formula also includes green tea and algae, the other two ingredients that make up the trifecta of Japanese superfoods. And for sensitive or easily irritated skin, there’s a gorgeous version with natural Japanese indigo that calms and soothes (and is my personal go-to every day of the year!). To be honest, this was a product I discovered not in Japan, but years back at a duty free at London’s Heathrow. And it has been a staple in my skincare routine ever since. In Japan, a country that loves its essences – water-like lotions that are applied after cleansers and before serums. Often confused with our toners, an essence is neither astringent, nor does it wipe away residual face wash… instead, it’s loaded with hydrators like hyaluronic acid and ceramides, whose job is to push water into the skin. An essence is often the anchor point of mochi-hada. SK-II’s cult formula is loaded with Pitera (an extract of yeast discovered from Sake), which is loaded with vitamins, organic acids, minerals and amino acids. Japan is a humid country that places a premium on perfectly matte skin: A tough balance that beauty brands are constantly trying to achieve. That’s why, I guess, Shiseido reserves this innovative moisturising mist, which is a superb alternative to greasy hand creams, for this land. Can you bring it to the rest of now, please? Carrying on the theme of mattifying, humidity-beating moisturisers, the Pelican Soap Butter Spray contains 98% Shea Butter but goes on super-light and non-sticky, thanks to the unique spray technology. It’s also great for hard-to-reach angles, like the back of my knees. And you can also use it for your hair, which makes it a great, all purpose product in my eyes.